SUPERMAN_ James McTeigue wants him | Klockwork Kugler: This is my blog. This is what I do. Okay, as you probably know by now: I’m a fan of Superman Returns. I may or may not be listening to the soundtrack right now. But YOU probably hated it so now I have to think of who else I’d want to direct another Superman movie. 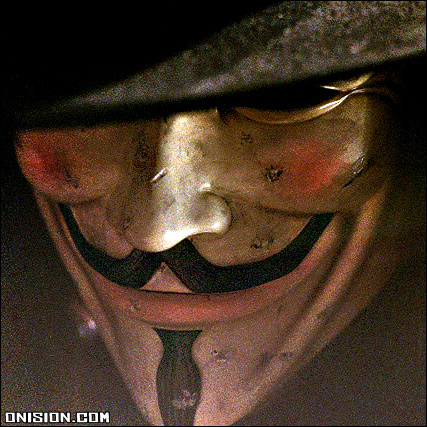 Fortunately, since V for Vendetta, James McTeigue, director of the upcoming Ninja Assassin, has been at the top of my list, and, pretty much since V for Vendetta came out, he hasn’t stopped talking about what HE would do with the movie. And what would HE do with a Superman movie? Well to sum it up for him: make it awesome. And I’m okay with that. Next up on my fanboy wishlist is Len Wiseman, director of Live Free of Die Hard. I don’t know what the hell he’s been up to since and I’m too lazy to look it up (I lied — not much.) I’d also be interested in somebody like Paul Haggis getting a crack at a tent-pole like Superman. Or I might give up my first born for Alfonso Cuarón. If given the opportunity to post a pic of V on my blog, I'll take it. NINJA ASSASSIN_worst movie ever (not really) « Klockwork Kugler: This is my blog. This is what I do.